Ever since MLK weekend, the skiing keeps getting better, and better at Saddleback and February 7, 2015 was even better! 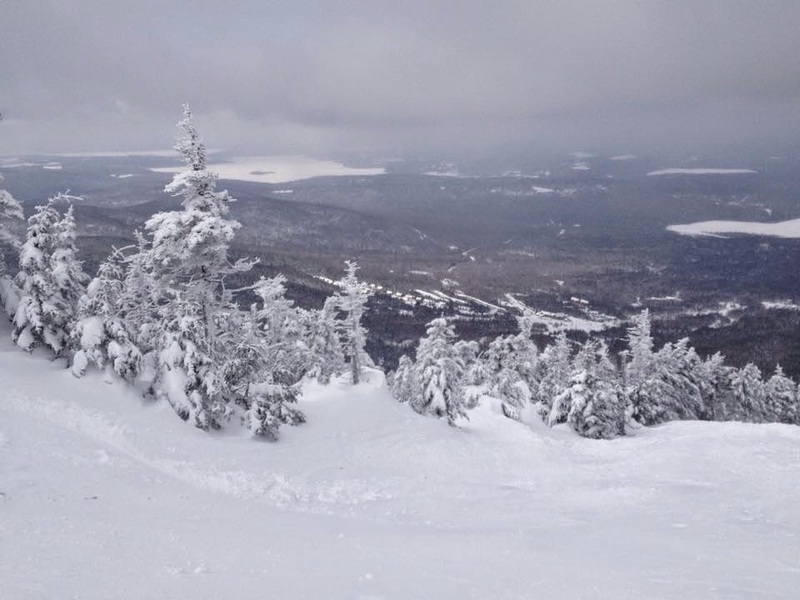 As with all the ski areas in Northern New England, the snow keeps a-coming and the temps keep the snow light and fresh. The groomed trails were outstanding. Tight Line was the best I had ever skied it. The bumps and woods were deep and fresh. We have to say Governor, Upper Professor, Lower Jane Craig, Family Secret, Peachy's, Nightmare Glade, Muleskinner and others had deep stashes of snow and skied great. See my guide to all the trials at Saddleback. The light snow is having a bit of trouble sticking to the natural head walls on Wardens, Black Beauty and Frostbite but there were accessible from the cross-cut off Tight Line. However, the Governor head wall held snow and the trail skied exceptionally well. On some of the natural trails there was some ice/scratch on the wind-blown sections but they were few and far between. have had some good ones so far! Josh Christie put together a great article on Saddleback and the Rangeley region in the January 7th Portland Press Herald. Saddleback is setting up perfectly for February vacation week. Make your plans, get up there an enjoy it! Video of the day. While we like to play in the woods and bumps the skiing was outstanding all over the mountain from the beginner green trails, blue cruisers to the expert bumps and glades. Everyone will have fun at Saddleback. Skiing Saddleback - February 7th from Alec Salisbury Photo & Video on Vimeo.